When using our headsets as part of your daily work routine, it will help improve your posture and your health. Not only does a headset help you physically, it also increases your work productivity. 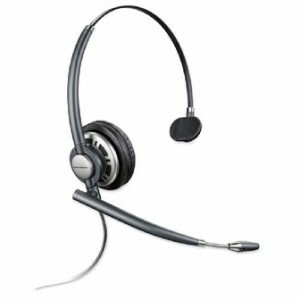 The premium noise canceling headset family has been trusted by enterprises around the world for years, and continues to set the standard for durable, lightweight corded headsets, designed for contact center and office professionals. Depending on the phone you have, a separate adapter cable or a separate audio processor may be required. Call our service department for a specific recommendation and proposal customized for your phone make and model. 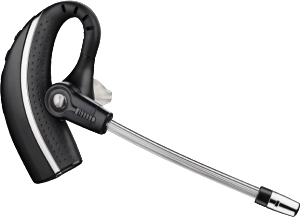 Plantronics CS540 over-the-ear lightweight (25grams) cordless headset with base station. Rated for up to 350 feet distance between base station and headset. Plantronics legendary CS family is setting a new wireless standard for desk phone communication with the CS500 Series. The new system features the lightest DECT headset on the market, a new streamlined design and improved performance all with the same reliability for hands-free productivity that has made the CS family a bestseller for nearly a decade. Learn how much you can save with Hosted Phones and Headsets.